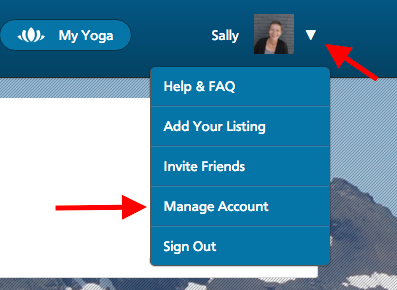 When changing the password for your YogaTrail account, you will need to enter your current password. This is for your protection — so that no one else can change your password without your knowledge. If you don't remember your current password, please log out of your account completely, and read this. 3. Once you're logged in, find the drop-down menu at the top right.